Blueberries are used in cosmetics moisturizing and nourishing the skin. Preparations containing an extract from the berries strengthen, attract, smooth the skin, moisturize, soften and seal blood vessels. They are recommended for acne, oily skin and vascular. Cosmetics containing extract of bilberry, thanks to the content of antioxidants, delaying the aging process. Valuable vitamins and minerals contained in raspberries perfectly nourish the skin and regulate processes taking place in it. Raspberries provide the skin with a healthy dose of vitamin C supporting healing, regeneration and protect against free radicals. By this skin ages more slowly and deeply nourished. Raspberries very well cleanse the skin with different impurities and toxins. Extract from raspberries also improves the skin's appearance. Besides cleansing, it illuminates and adds shine. As a result, the skin looks healthy and radiant. Delicate Enzyme Peeling based on sunflower oil, papain, raspberries and blackberries extract perfectly removes dead skin cells, improve the skin color and prepares for the application of the Sorbet or Mousse. It regenerates, moisturizes and enhances skin elasticity. Sorbet has a deep hydration, nourishing and regenerating. It combines sunflower oil with extract of raspberries & blackberries, cranberry and also hyaluronic acid. 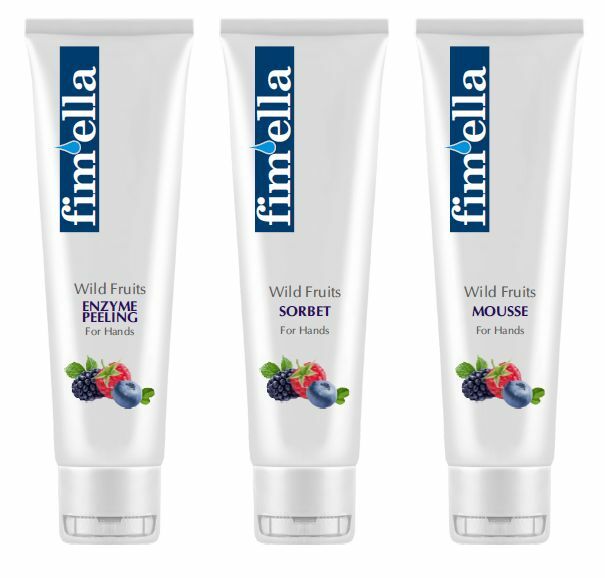 Instantly nourishes, moisturizes and smoothes. In addition, panthenol and alantoin soothe skin tension due to dehydration. The skin becomes velvety soft and supple. Relaxing Mousse gives a deep nourishing and regenerating of the skin. The extract of raspberries & blackberries Instantly nourishes, moisturizes and smoothes. In addition, cranberry prevents aging. The skin becomes soft and supple. 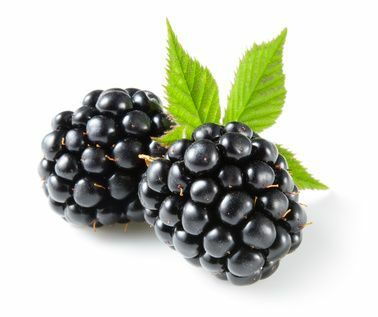 Blackberries are very similar in composition to raspberries, but they contain far more vitamins and certain minerals. This fruit is a treasure trove of vitamin C, K, B1, B2, PP, B6, B12 and folic acid and provitamin A. Blackberry is the richest source of vitamin E. It contains the highest of all fruits. It also provides us with valuable minerals such as calcium, magnesium, potassium, copper and iron. In jeżynie there are huge deposits of fiber, pectin, tannins, phyto estrogens and organic acids (apple, lemon, wine, salicylic acid). Blackberry fruits are a rich source of flavonoids and polyphenols, in particular anthocyanins and flavonols or phenolic acids, eg. Ellagic acid.